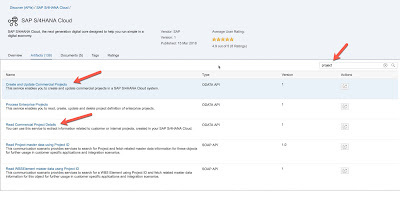 In a professional services project you might use S/4HANA Cloud in combination with other solutions to apply the relevant business processes for professional services such as opportunity to cash. 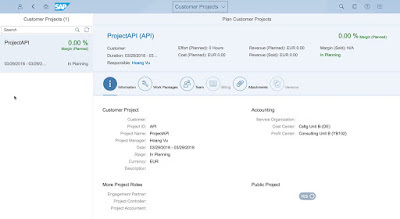 Scenario could be that project opportunities are managed in another solution, once the opportunity gets realized and priced, a project in S/4HANA Cloud will be created. 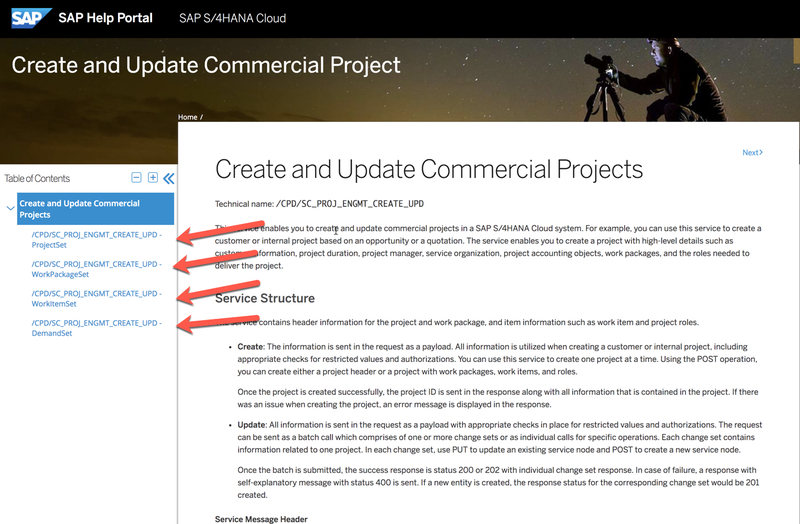 To be able to integrate these processes you need to understand how the S/4HANA Cloud APIs related to commercial projects work and how to address them. 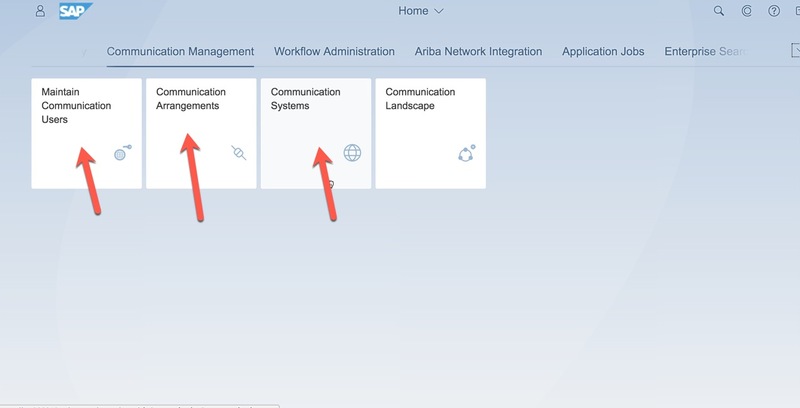 Depending on the source system where the priced opportunity is created, you might need a middleware such as SAP Cloud Platform Integration to perform mapping requirements of the message structure. 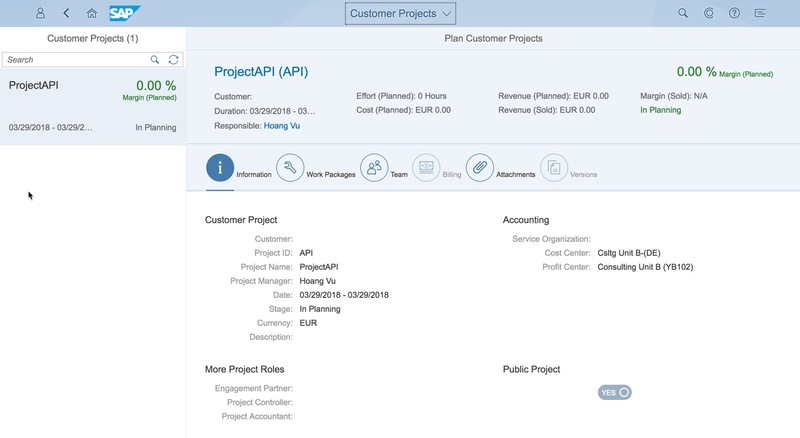 In this blog I would like to show you how we can leverage these S/4HANA Cloud APIs. 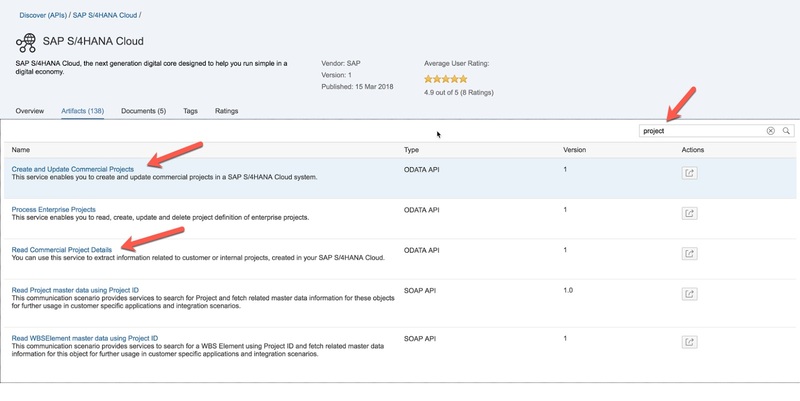 We will start by understanding what these APIs are, where we can find information and documentation and how to test the APIs directly in S/4HANA Cloud. 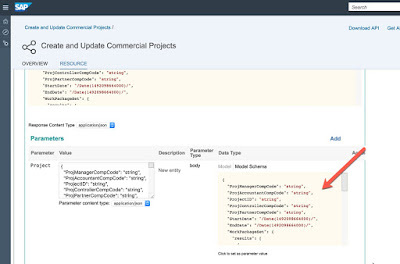 In a following blog we will create an OData Service and Integration Flows on SAP Cloud Platform Integration to consume the S/4HANA Cloud API. Once you have your OData Service established, other systems can connect to SAP Cloud Platform Integration to match their source structure to the structure of the OData service. 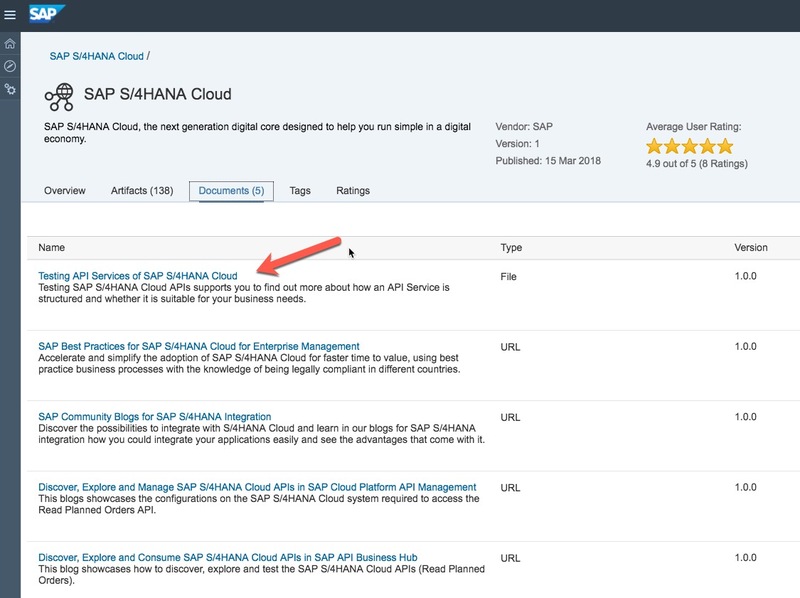 For this blog ideally you have some basic understanding in S/4HANA Cloud Integration, APIs and SAP Cloud Platform Integration. 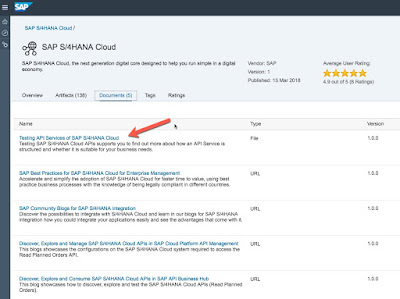 A good starting point to understand, which API to use and how, is the SAP API Business Hub. 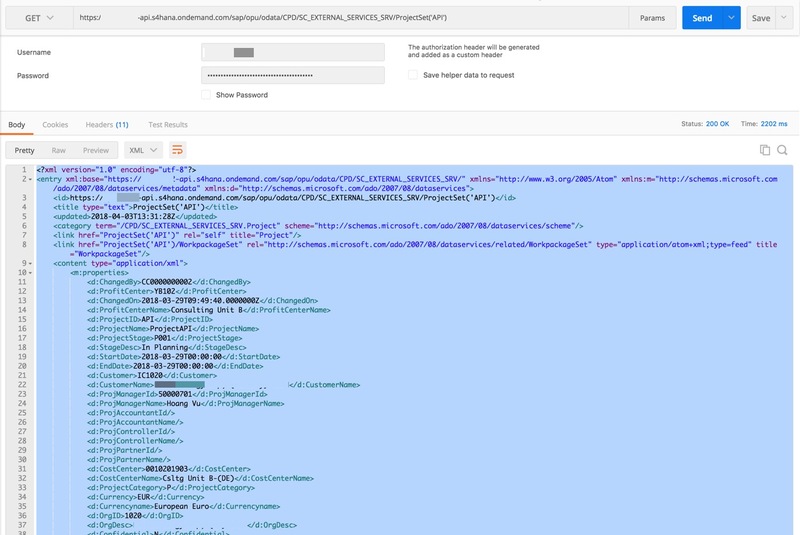 It lists the APIs that you can use for integration including a testing tool and detailed information on the structure of the API. 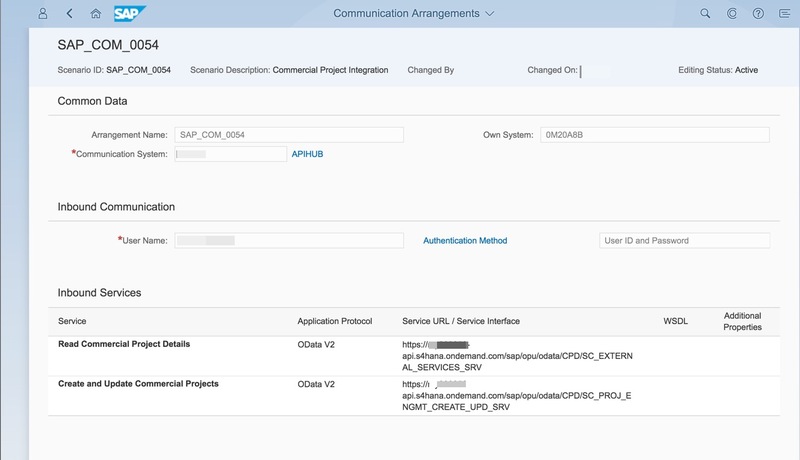 In the overview page you get details regarding the communication scenario of your APIs, in our case SAP_COM_0054. 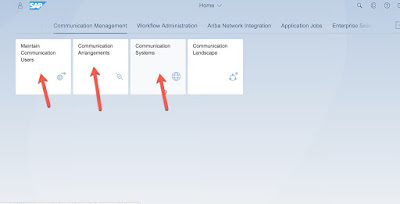 This communication scenario you will need to activate in your S/4HANA Cloud system to be able to use the relevant APIs. 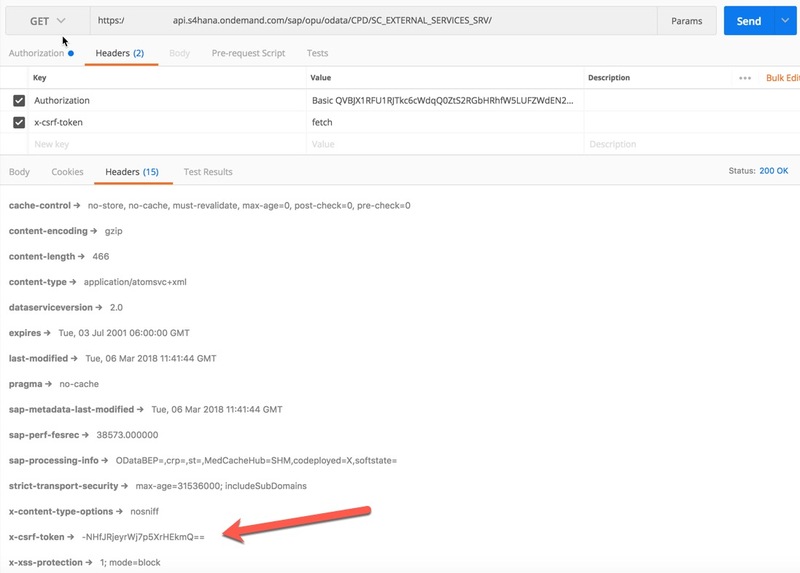 Additionally you can find a link to a documentation of your API on the overview page under Business Documentation. The API documentation is very important to understand the complete functionality of the API, what the service nodes are and which fields are mandatory and optional. 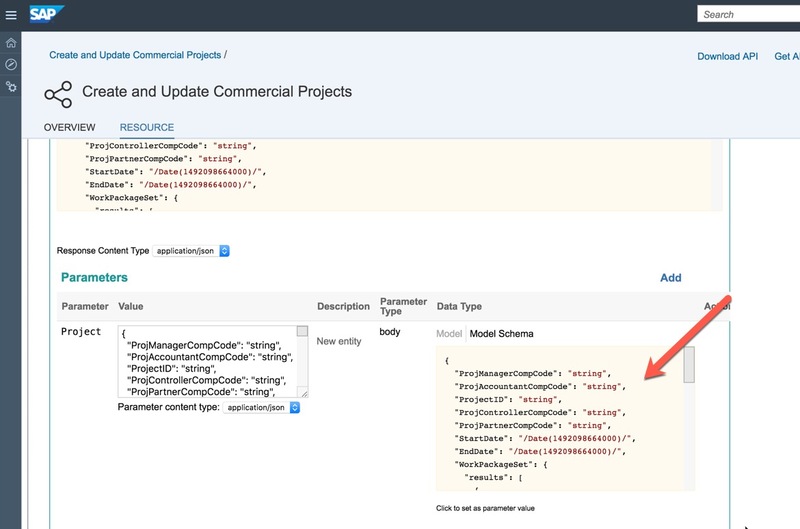 For our read and create/update APIs the service nodes are ProjectSet, WorkpackageSet, WorkItemSet, PlanDataSet (read), DemandSet (create/update). In this blog we will be using the service node ProjectSet. 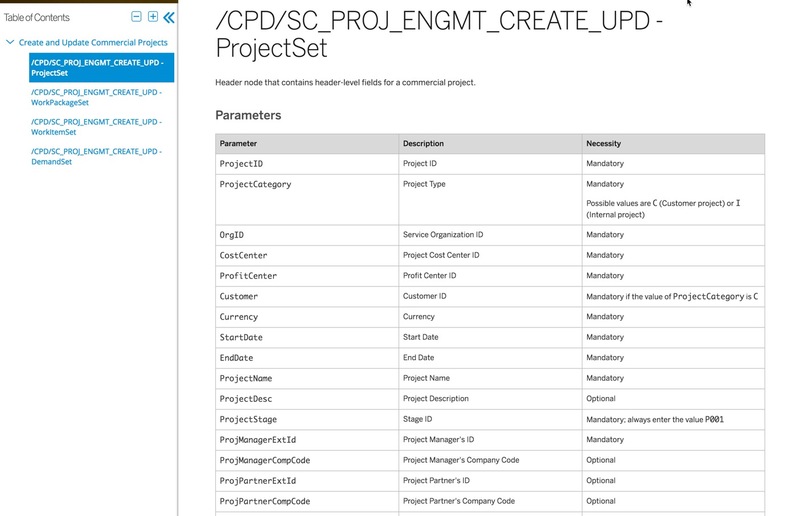 Clicking on service node ProjectSet will lead you to the parameter list of mandatory and optional parameters of the service. In our case we have 12 mandatory fields for the create API which need to be filled out to test the create/update service. 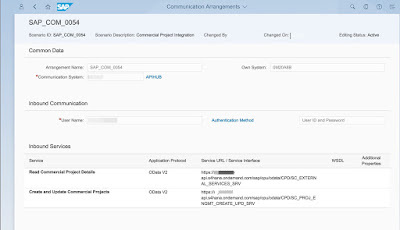 Once you activated the scenario you can see that both read and create/update APIs are in communication scenario SAP_COM_0054. In this scenario we will be testing the APIs that we just activated in S/4HANA Cloud directly via Postman. ◈ Specific date and time format for start and end date. 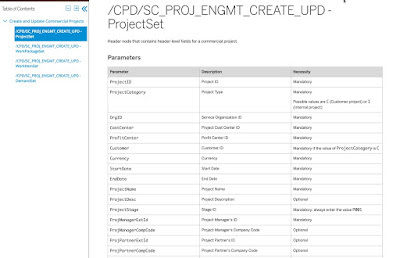 ◈ Read API gives you the value of the project manager ID, while using the create API you require the project manager external ID. The project manager ID is the personnel ID of business user, while project manager external ID is the user name of the business user. 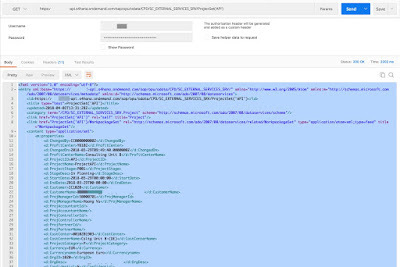 "Workitemname": "your work item name"
Again, if you struggle to find your values for any of these fields, you can use the read (GET) method to read the existing data of these fields in your S/4HANA Cloud system. This is an indication for you what the field value you need to enter could be.